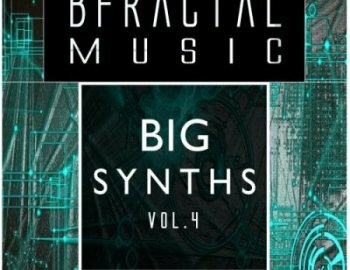 BFractal Music presents ¨Big Synths vol.4¨ , 980MB of essential and serious Synth Loops inspired by the Berghain spirit of Berlin. Deep and Fresh Leads, Hooks and riffs perfect for creating Techno and Tech House Bombs. Featuring over 980GB of Wav 24-bit Stereo Loops.